The HTU face-mount truss hanger has nail patterns designed specifically for shallow heel heights, so that full allowable loads (with minimum nailing) apply to heel heights as low as 3 7/8". Minimum and maximum nailing options provide solutions for varying heel heights and end conditions. Alternate allowable loads are provided for gaps between the end of the truss and the carrying member up to 1/2" max. to allow for greater construction tolerances (maximum gap for standard allowable loads is 1/8" per ASTM D1761 and D7147). See technical bulletin Allowable Loads for Hangers with Gaps (T-C-HANGERGAP) for more information. HTU may be skewed up to 67 1/2°. See table below. See engineering letter HTU with SD Screws (L-C-HTUSD) for installation with Strong-Drive® SD fasteners. Allowable loads for Simpson Strong-Tie® HTU face-mount truss hangers using Strong-Drive® SD Connector screws. 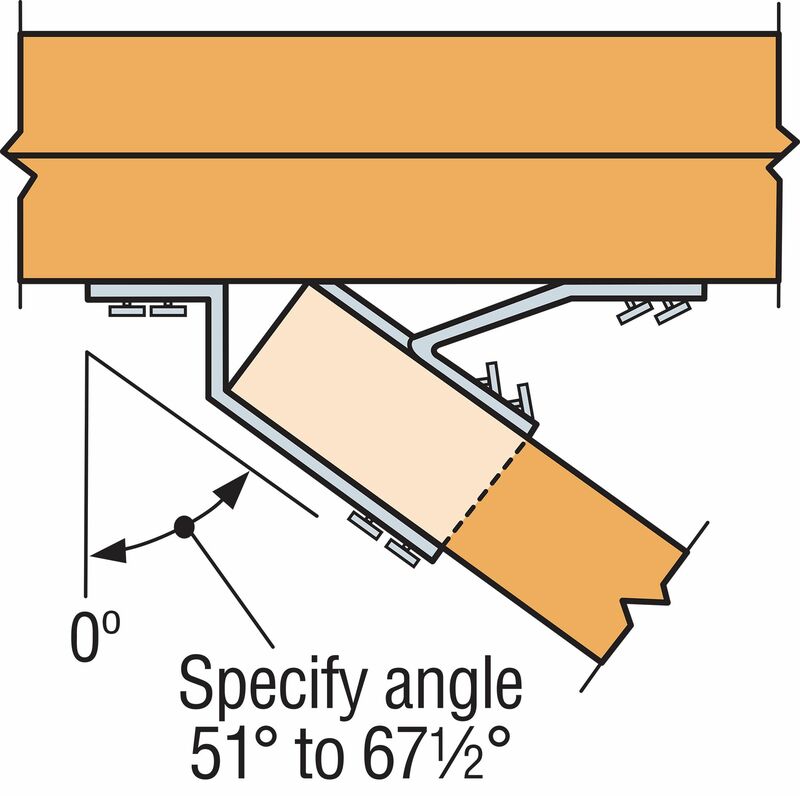 The maximum hanger gap is measured between the joist (or truss) end and the carrying member. Minimum heel heights required for full table loads are based on a minimum 2:12 pitch. For hanger gaps between 1/8" and 1/2", use the Alternate Allowable Loads. Loads shown are based on a minimum two-ply 2x carrying member. 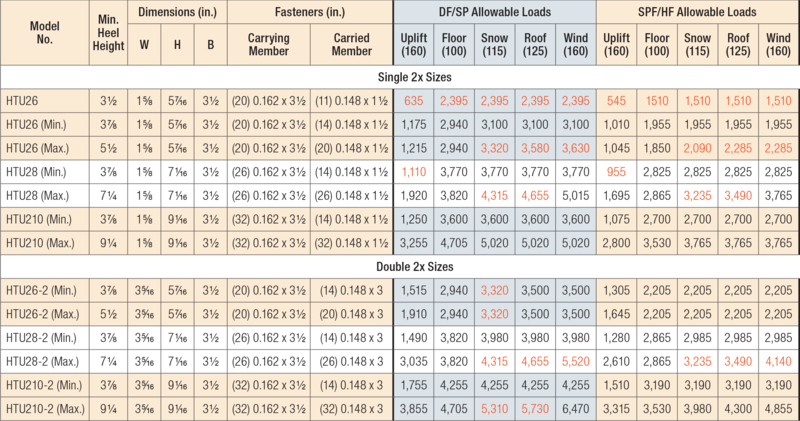 For single 2x carrying members, use 0.148" x 1 1/2" nails in the header and reduce the allowable download to 0.70 of the table value. The allowable uplift is 100% of the table load. See table above for dimensions and additional footnotes. Maximum hanger gap for the alternative installation is 1/2". Allowable downloads may not be increased. 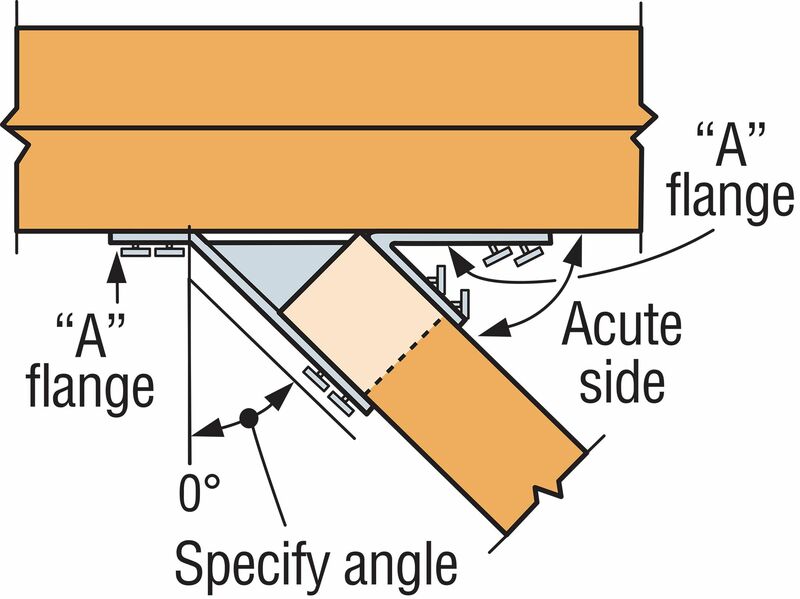 Maximum hanger gap between end of joist (truss) and face of carrying member is 1/8". HTU See specific model numbers for code listings.